We create beautiful contemporary wall plaques from photos you upload, or prints that you mail us or NOAA nautical charts we sell. 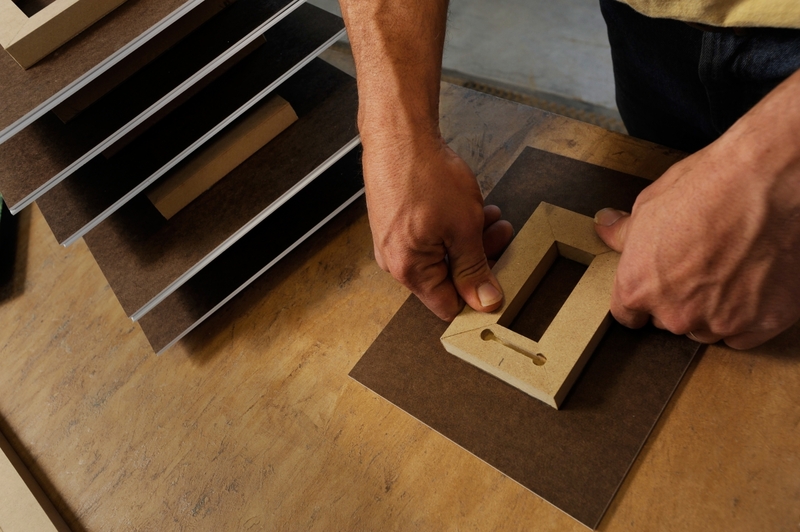 Each ARTiPLAQ™ is hand crafted in our manufacturing facility in South Portland, Maine. Beware of imitations and be sure to ask for ARTiPLAQ™ . 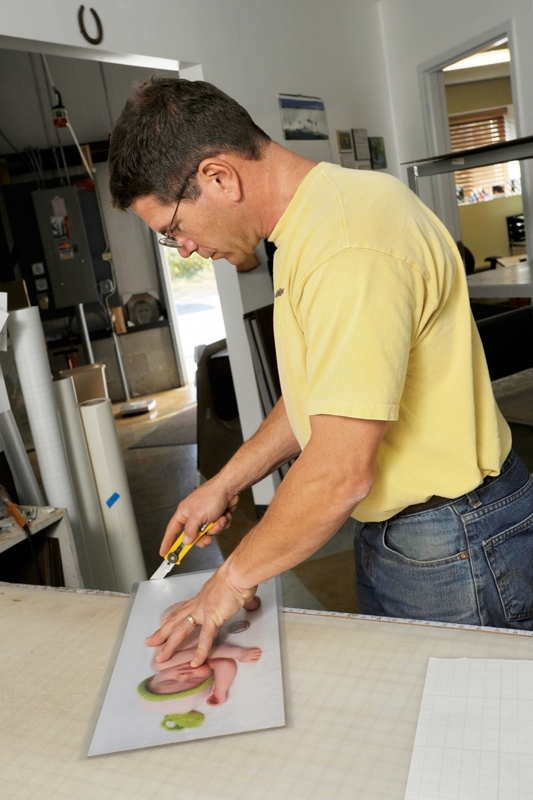 We custom cut our substrates to the size of your print. 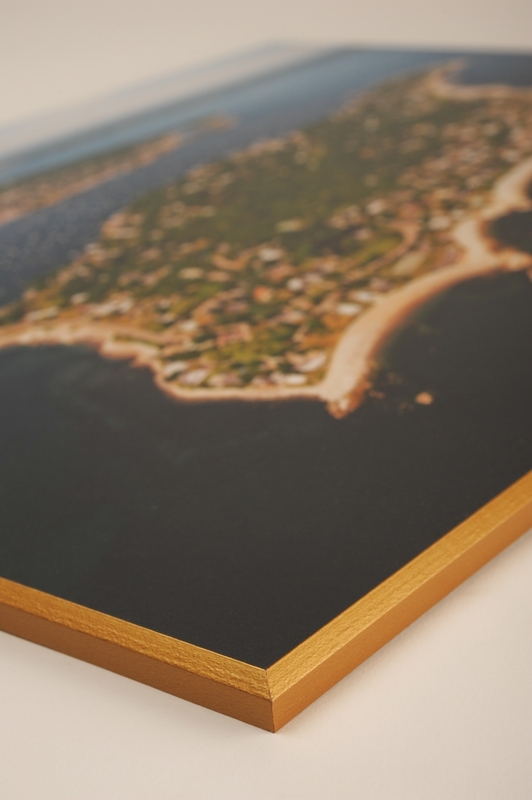 We use the highest quality Drytac laminates and adhesives to encapsulate your print so that oxygen will not get at it. Our “Artshield” laminate has ultra violet filters to protect your print and over-laminate from yellowing. ARTiPLAQ™ is a dry mount encapsulation process. 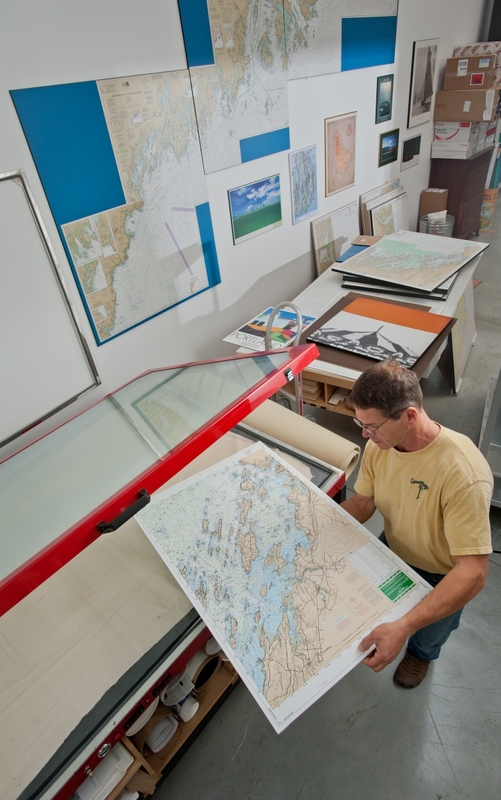 We adhere your print to a wood substrate and over laminate in our heated vacuum press. 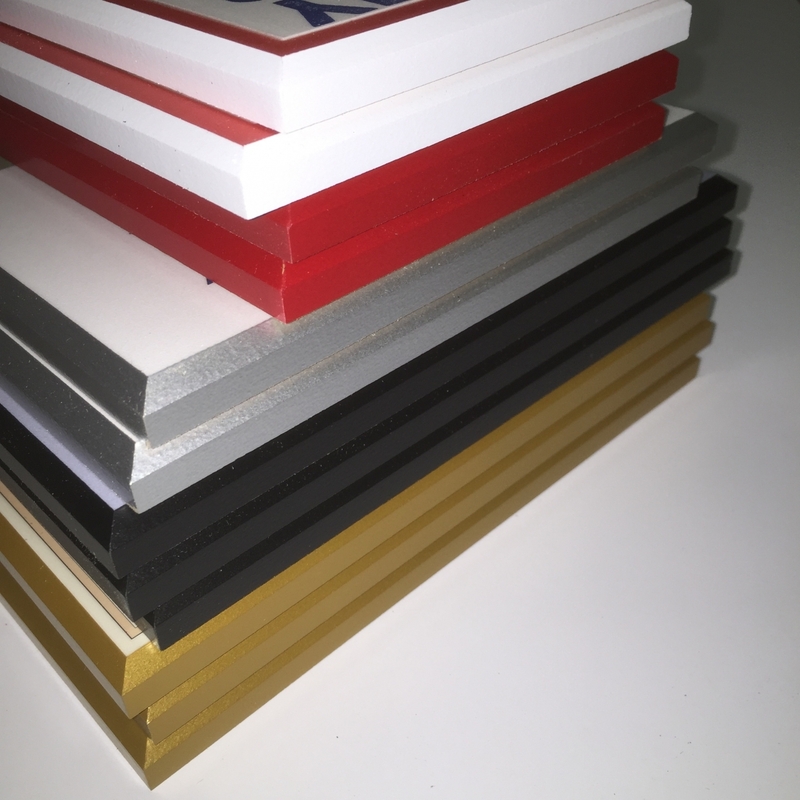 We use 3/8" thick MDF (Medium Density Fiberboard) for our standard Plaq. We have 4 edge colors; Black, white, gold and silver. (We no longer have the red edge color and need to update photo.) We bevel chamfer edge when we apply our heat set foil color. Picture below is the standard bevel, which is cut 1/4" on the chamfer. In the next photo, you'll see our Micro Bevel option, (cut 1/8" on the chamfer). Notice too, the white border around the image- (the photographer left a 3 inches margin around the perimeter of the image._ Instead of cropping the white margin, we over laminte over the image and border to create a nice matte-border effect. 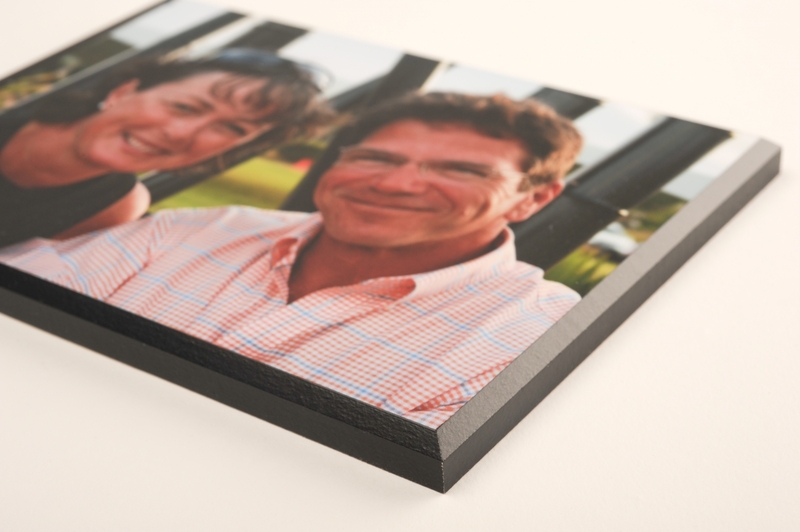 (If you want this look and already have a cropped print, consider a multiple mount, where we mount your image on colorful paper centering it with a margin width you choose. There is no glare with our matt-finish laminate and you can wipe it clean with Windex. 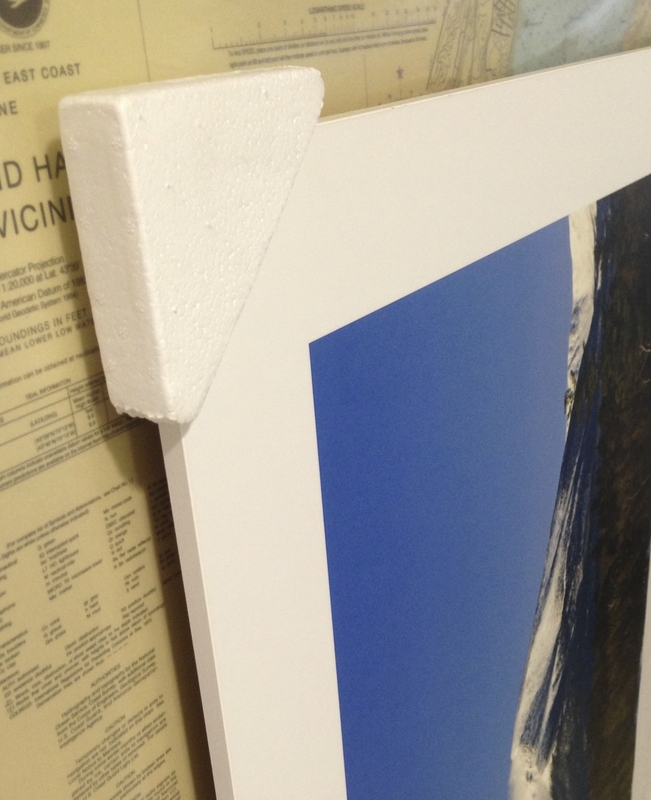 Once your print is ARTiPLAQ™ ’d, it is encapsulated so that oxygen will not get to it and cause it to fade. The remaining factor is daylight—direct or indirect, over the years may cause your print to fade. The only filter that permanently blocks daylight, is solid black— which prevents you from displaying your prints. ARTiPLAQ™ s are hand crafted for quality and made in the USA.